Fundraising is a necessary element of running a non-profit. The goal of our fundraising events is to have fun, build community and raise the money we need to keep things running smoothly. We are so grateful for the many organizations and individuals who help us to put on these events and those who support us through their participation and attendance. Thanks. The Cardboard Box City shines a light on the plight of homeless families by giving participants a brief taste of what it would be like to be homeless. Each fall participants build a city of cardboard box shelters which they sleep in for the night. The event includes dinner, breakfast, prizes, and entertainment. Funds are raised through pledges collected by participants and by business sponsorships. In addition to raising awareness, the event produces much needed funds to keep our program going. ​Families Walking for Families is an opportunity for those who cannot stay the night but would like to help raise awareness and help make our Cardboard Box City event a success. The event consist of a short walk on the day of the CBC event. Participants simply donate $25 per family and complete the 30-minute walk. Come raise awareness and show support for those who will sleep outside for one night, so children don’t have to. Celebration week is our chance to honor the Hospitality Network Congregations that make our program possible. If you would like to help with this celebration, contact Teri Burch. National Hunger & Homelessness Awareness Week is held each year the week before Thanksgiving. This is a time for us all to start to think about what we are thankful for, a perfect time to share our compassion with our neighbors who are experiencing homelessness, and work toward a world where no one has to experience Hunger and Homelessness. Join us for a special service to pray for those less fortunate and celebrate the volunteers who help them. 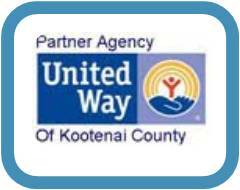 The Family Promise of North Idaho Golf and Walk event is a significant funding source for our organization. The day features a one-day family-focused 18 hole golf scramble and family walk-a-thon. Participants collect financial pledges from friends and family which help Family Promise sustain its life changing program for homeless families with children.